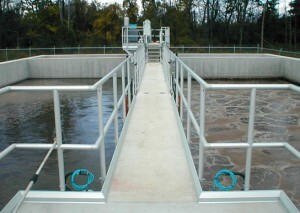 The Newville Borough Water & Sewer Authority (NBWSA) recently completed a wastewater treatment facility expansion. The facility is located in Newville Borough, Cumberland County and serves Newville Borough and portions of North Newton Township, Penn Township, and West Pennsboro Township. The NBWSA expanded their existing 0.350 MGD extended aeration process facility by constructing a 0.60 MGD ITT/ABJ Intermittent Cycle Extended Aeration System (ICEAS) continuous fill SBR process facility. 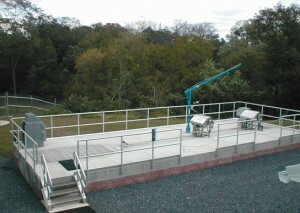 The new facility will allow the Authority to meet their future capacity needs and positions them to meet the Department of Environmental Protection’s Chesapeake Bay Strategy nutrient loading limits. Overall costs (Construction & Engineering) also turned out to be a major advantage. 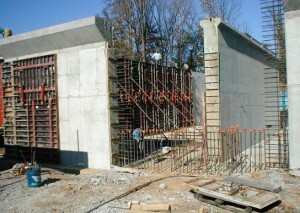 Construction for the new facility began in July, 2008. 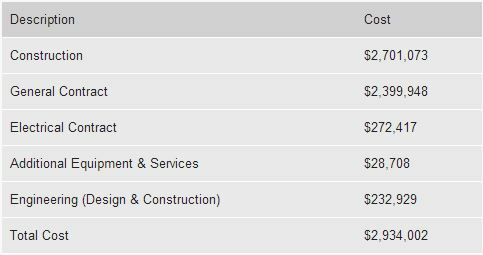 The costs are referenced in the following table. The General contract was completed by Hickes Associates, Inc. of Alexandria, PA and the Electrical contract was completed by Robert P. Lepley of Lewistown, PA. Engineering costs for the project included design, permitting, and construction monitoring of the new facility. 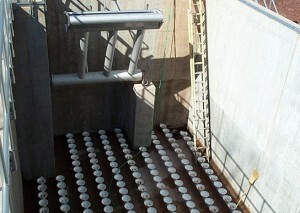 Unit costs for the design and construction of the new facility were approximately $4.88 per gallon of treatment capacity, including modification of the existing treatment units for aerobic digestion. A PennWorks Grant funded a majority of the project ($1,640,110), while the remaining funds were acquired through low interest loans at local financial institutions. To review the full article of the Newville Borough Water & Sewer Authority, click here. period following the startup of the new facility yielded a concentration of only 0.52 mg/l.